Ensuring your Genset is functioning properly is a necessity to maintain power and run it. Make sure that the damaged or worn parts are replaced with Genset Spare Parts from CV. Dian Jaya. 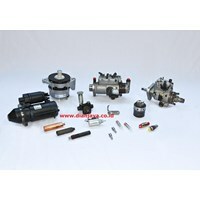 We Sell Genset Spare Parts in Surabaya by utilizing years of experience in this industry, We Sell Generator Spare Parts in Surabaya which is a genuine spare parts manufacturer. Sell ​​Original Genset Spare Parts with cheap and affordable prices. In addition to selling Genset Spare Parts, we also provide generator spare parts installation and replacement services. Delivery services, spare parts installation and replacement services are supported by experienced and certified experts because they have passed rigorous training. Why Choose CV. Dian Jaya? 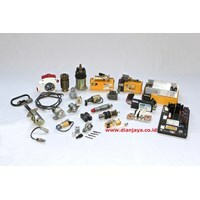 We have enough experience in selling generator spare parts in Surabaya with various brands such as Perkins, Cummins, Caterpillar, etc. Electrical System Generator parts gasoline with Perkins brand available in many types include Battery and Battery Charger, Automatic Change Over Switch etc. CV. 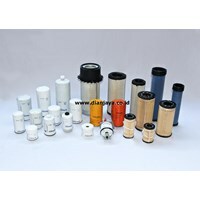 Dian Jaya as a distributor of spare parts generator provides one spare part that is genset filter. Gasoline / diesel engine is a machine with internal combustion system. The burning process requires fresh air rich in oxygen. The air is sucked in and filtered through the air filter (water filter), through the rubber hose and enter the engine combustion through the intake manifold. Filter as one component of gasoline / diesel genset, has the function of filtering the incoming air is cleaner and not contaminated. Furthermore, the air is mixed with fuel sprayed into small particles, and then burns and explodes, producing a motion that rotates the engine shaft.Perkins generator filter is useful for filtering air. Dust particles in the air can cause a dirty combustion chamber, therefore must be filtered first. Air filter treatment should be done every 200 hours of operation. Perkins is one of the largest diesel engine companies in the world, with thousands of distributors spread across countries. 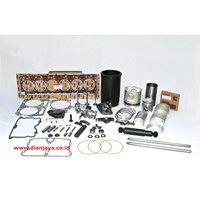 Perkins Genset Engine parts are available in many series with varying prices and affordable. We have the 3300 Series engines, with models 3304, 3304 B, G3304, 3306, 3306 B, G3306 etc. Electrical System Generator parts gasoline with Caterpillar provided various types include Battery and Battery Charger, Automatic Change Over Switch etc. Buat Permintaan Untuk "Genset Sparepart"
Engine parts available Genset Caterpillar 3300 Series engines, with models 3304, 3304 B, G3304, 3306, 3306 B, G3306 etc. CV. 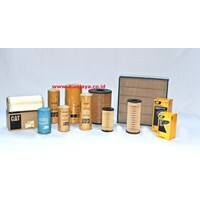 Dian Jaya selling spare parts generator genset filter. Gasoline / diesel engine is a machine with internal combustion system. The burning process requires fresh air rich in oxygen. The air is sucked in and filtered through the air filter (water filter), through the rubber hose and enter the engine combustion through the intake manifold. Filter as one component of gasoline / diesel genset, has the function of filtering the incoming air is cleaner and not contaminated. Furthermore, the air is mixed with fuel sprayed into small particles, and then burns and explodes, producing a motion that rotates the engine shaft.Caterpillar genset filter is a caterpillar spare parts that is useful for filtering air. Dust particles in the air can cause a dirty combustion chamber, therefore must be filtered first. Air filter treatment should be done every 200 hours of operation. Caterpillar is one of the largest diesel engine companies in the world, with thousands of distributors spread across countries. CV. 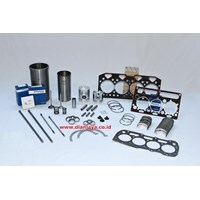 Dian Jaya sell genuine spare parts genset, quality with friendly price. Cummins Genset Engine parts provided 3300 Series engines, with models 3304, 3304 B, G3304, 3306, 3306 B, G3306 etc. 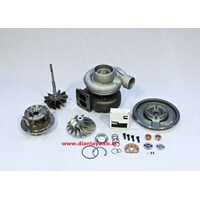 To improve the performance of diesel engines one of them by using turbocharger. As one component of gasoline / diesel generator set which spare parts of Surabaya genset provide, in fact the working principle is quite simple, ie convert heat energy and exhaust gas pressure of combustion combustion engine into mechanical energy of spindle shaft for further use compress air entering into combustion chamber through intake manifold.Based on the working principle CV. Dian Jaya as a provider of spare parts genset Surabaya provides turbocharger cummins which is composed of:- Turbine: A mechanical component that serves to convert energythe heat of the fluid passing through it becomes the mechanical energy of the turbine spindle.- Compressor: Serves to change the mechanical energy of turbocharger shaft spininto kinetic energy of air flow.- Center Housing & Rotating Assembly (CHRA): Each turbine andThe compressor on the turbocharger is composed of the rotor part and the casing housing.Both are on a single axis supported by a bearing system(pads) in the middle between the turbine and the compressor. For needsassembly, turbine casing and compressor united by a named systemCenter Housing & Rotating Assembly (CHRA).- Intercooler: It is a heat exchanger that generally usesair atmosphere as a media cooler.- Wastegates: Serves as a bypass valve to dispose of exhaust gas motorburn on certain conditions to not get into the turbocharger turbinebut go straight to the exhaust.- Blow-Off Valve: True is a pressure relief valve that works fordischarges compressed air into the atmosphere when air pressure comes outturbocharger compressor is too big.- Pipe line: Can be grouped into two parts, the hot channel andcold channels. The pipes drain the exhaust from the combustion chamber to the sidesturbine inlet turbocharger, and dispose of turbine exhaust gas into the systemexhaust (exhaust). While the cold channel drains the atmospheric airenter the compressor, pressurized air from the compressor outlet to the intercooler, as welldrain the pressurized cold air from the intercooler to the motor intake manifoldburn. 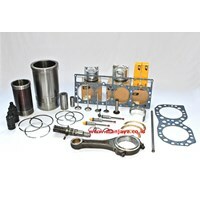 Electrical System Generator parts gasoline with Cummins brand available in many types include Battery and Battery Charger, Automatic Change Over Switch etc.